In a world that is coping with a burgeoning population, there is a growing need to develop and manage systems, products and processes that increase productivity but with minimal environmental impact. What goes behind the design of a product or process is an intimate knowledge of how the chemical, biochemical or physical state of a substance works. This is where the role of chemical engineers come into play. “Chemical Engineering is all about changing raw materials into useful products you use every day in a safe and cost effective way. For example using fossil oil in making petrol, plastics and synthetic fibres, using palm oil in making toiletries, foods, pharmaceuticals and so on,” said Professor Tey Beng Ti from the School of Engineering at Monash University Malaysia. A chartered member of Institude of Chemical Engineers (IchemE) UK and the current head of IChemE’s Biochemical Engineering Special Interest Group [BESIG] in Malaysia, Prof Tey has published more than 90 papers in leading scientific journals and more than 120 papers in scientific proceedings. His published papers have garnered more than 600 citations with an h-Index of 12. “Chemical Engineers basically understand how to alter the chemical, biochemical or physical state of a substance, to create everything from face creams to fuels,” he said.Being able to dissect raw materials and convert them into useful and efficient products spurred Prof Tey to embark on a research project eight years ago which has resulted in a discovery on how to simplify the production process of therapeutic protein such as virus-like particles (VLP). “The current flu vaccine is produced in fertilised chicken eggs, but it has limitations,” he said. “Firstly, there is a very low yield of the virus. To obtain 300 million doses of vaccine requires 900 million eggs. This obviously is a problem, as the supply of eggs could be affected by avian flu pandemic and so on. “Apart from that, people who are allergic to eggs cannot receive vaccines that are produced from chicken eggs,” he said. 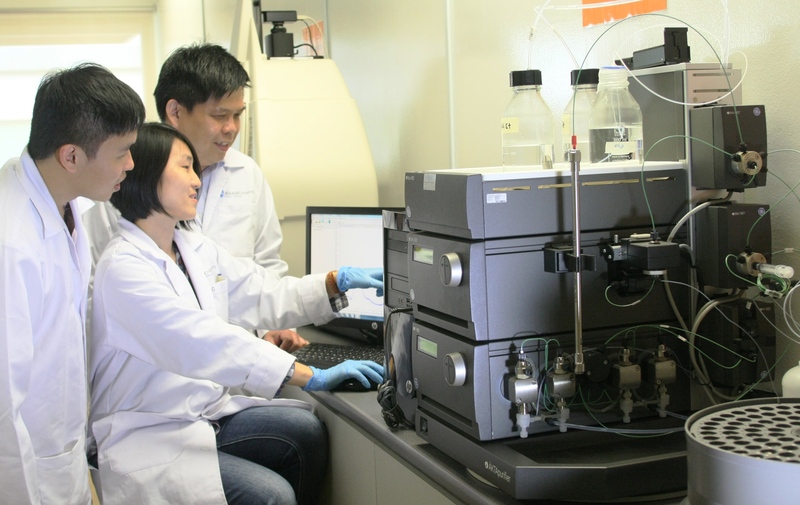 In his research, Prof Tey attempted to use a chromatographic purification process to purify Virus-like particles (VLP) which were produced from different expressing systems. The new process achieved up to 17 times higher product yield, and involved a shorter processing time (6-10 times faster) compared to the conventional purification method. “We have so far filed nine patents in Malaysia and the Patent Cooperation Treaty (PCT) and published more than 50 articles in leading international scientific journals from the outcomes of this research. Prof Tey, together with his collaborators has secured a total of 32 research grants worth more than RM18.5 million. He is also the lead inventor for 10 patents being filled in Malaysia and the Patent Cooperation Treaty. He shared that the outcome of this research stands to greatly impact the health and medical industry, especially in low-income countries where vaccination is the most effective way to prevent infectious diseases and hopefully, cut the high death rate of children. “The high cost of vaccines is one of the hurdles that contribute to the delay in making vaccines accessible to people in least developed countries. “Hence, we were motivated to embark on a research to simplify the process to reduce the cost of vaccine production,” he said. At Monash University Malaysia, chemical engineering student can choose to either specialise in Biotechnology or Sustainable Processing. “Biotechnology involves the use of biological processes for commercial and industrial applications. Applications include the use of recombinant DNA, the development of micro-organisms and new bio-processing techniques,” said Dr. Tey. Prof Tey said the work of a chemical engineer could be extremely diverse, but would always be relevant.